Uber is partnering with Airbus. 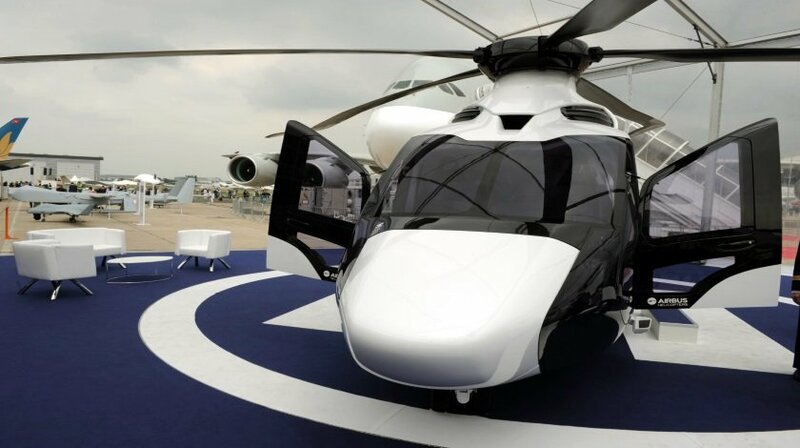 The on-demand ride service will be offering stylish, swift, and costly helicopter rides around Utah during the Sundance Film Festival this month, and none other than European aerospace giant Airbus will be providing the choppers. In an interview with The Wall Street Journal, Airbus CEO Tom Enders said “It’s a pilot project, we’ll see where it goes — but it’s pretty exciting.” Details on the partnership are scarce, but the report says that Airbus will “provide” helicopters for Uber’s future chopper services. It’s not clear if Uber will be purchasing the helicopters, but that would mark a significant departure for Uber, which relies on independent drivers to provide vehicles. Uber has offered helicopter rides several times before, but never as part of a permanent service option. In 2013, it had ritzy helicopter rides from Manhattan to the Hamptons, and during the United States Formula 1 Grand Prix in Austin, it also offered rides to the race track. The rides cost a minimum of several hundred dollars; in the case of the Hamptons rides, they were $3,000 a pop. As with those previous trials, helicopter rides during Sundance will include traditional car service rides to and from the helipad. A Utah-based company called Air Resources will be operating the service. News of the partnership — which could signal a more significant push from Uber on helicopter services — will likely make competitor Blade nervous. The startup is essentially Uber for helicopters.